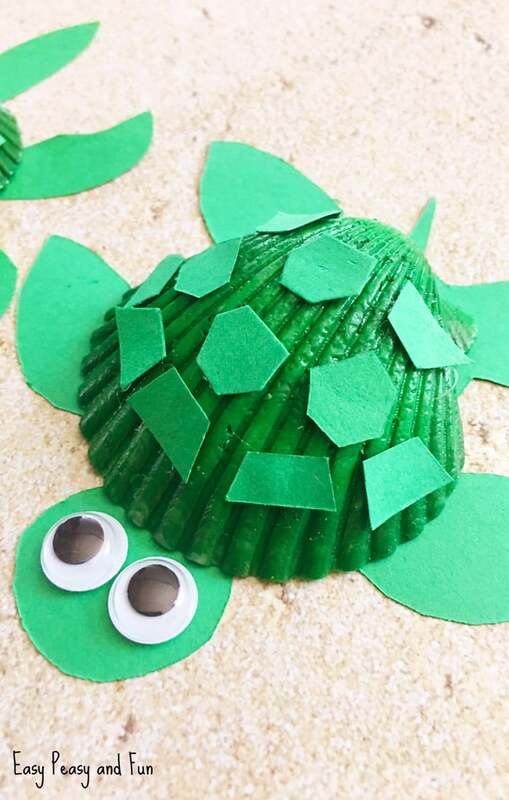 We are quite crazy about turtles (and tortoises) so this seashell turtle craft is something we trully are happy about sharing with you. 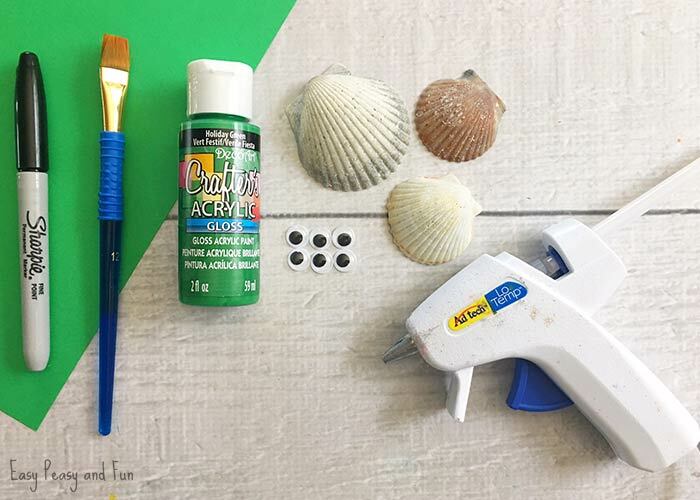 These seashell turtles are insanely easy to make and you can even turn them into fridge magnets just like these seashell crab magnets are. If you have a change of a sea side vacation with your kids I am sure you return home with an insane amount of all kinds of empty seashells that you kids have collected. 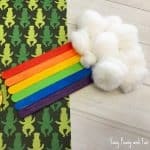 Now they sure are nice, and collecting washed up empty shells from the beach certainly is a fun thing for kids to do but… What to do with all those seashells when you come home? 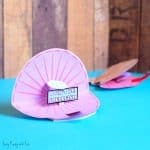 You can turn those seashells into wonderful works of kid made crafts. 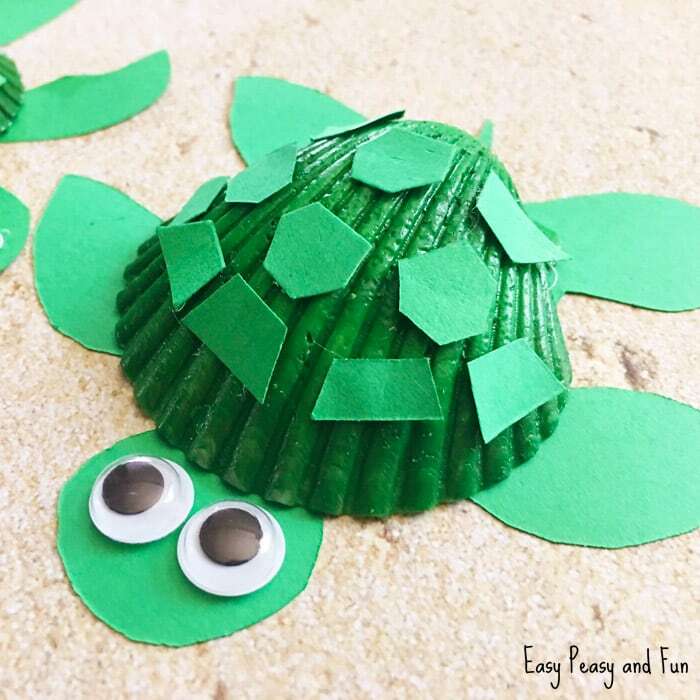 This way you’ll turn those shells into lovely things the kids can then play with, gift to their friends or family members. Certainly better than collecting dust. 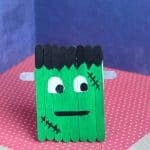 Are you ready to get crafty? 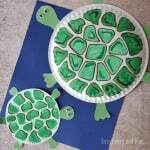 Let’s make this seashell turtle craft! 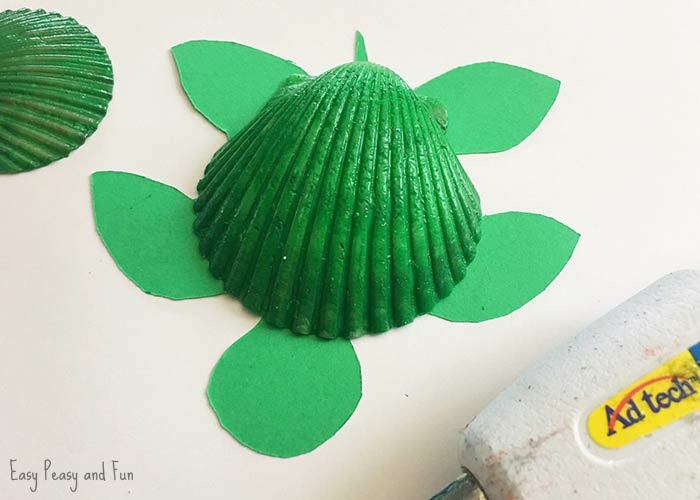 Lay your seashell onto your green card stock and draw a head coming from the top, 2 arms coming from the top sides, 2 legs coming from the bottom, and a tail from the back. 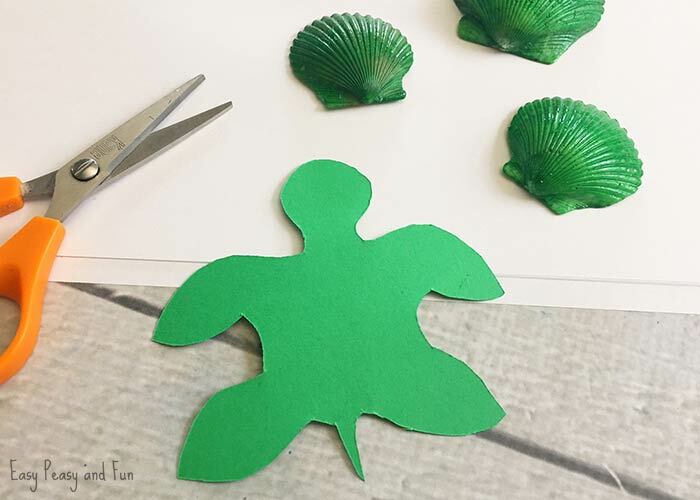 Move the shell and connect the head, arms, legs, and tail. 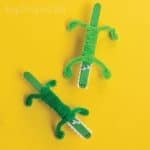 Cut out your turtle body and set aside. 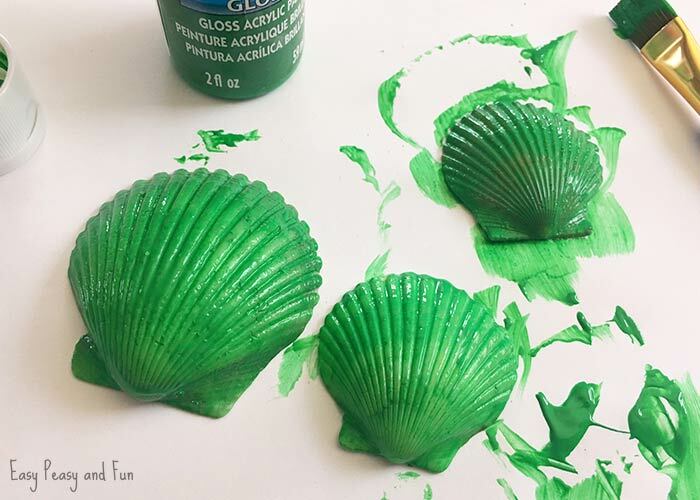 Use your paintbrush and green paint to paint the top of each seashell green and let dry. 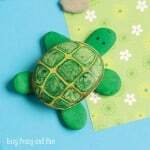 Glue your green turtle shell to the turtle body. 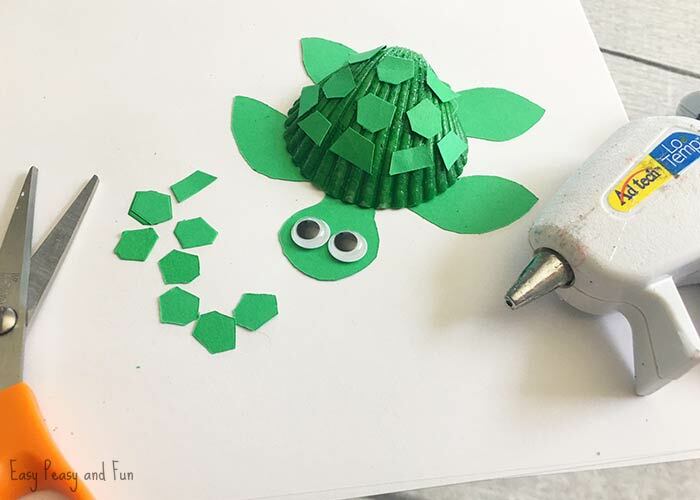 Glue two googly eyes onto the turtle head. 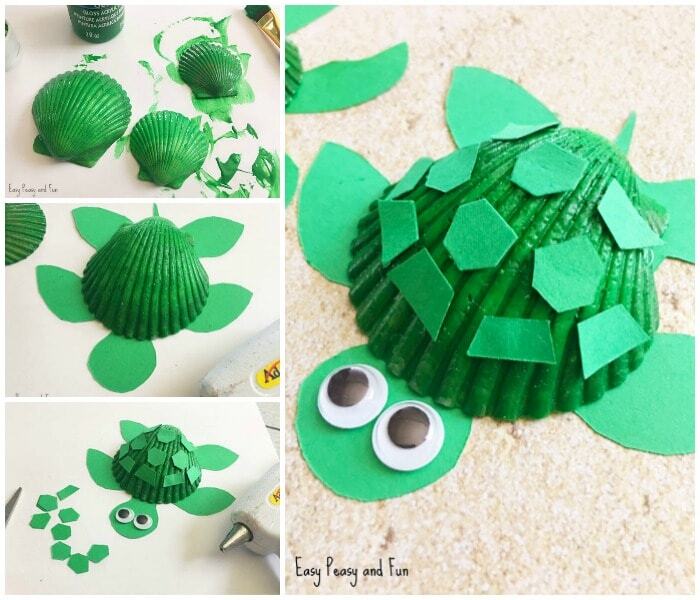 Cut out several tiny trapezoids and hexagons and glue them to the top of the turtle shell.